One of the things that I really intend on keeping this year is to have a monthly date with B. In the past years, we have gone out together but most of the time, we end up having other people or completely missing out because I became too busy or he had school work. This month though, we were able to make it happen. He wanted to watch Jumanji and so we bought tickets to the afternoon screening. Much to my surprise, his appetite has apparently grown like crazy. He had 2 corn dogs, 6 pieces of donut, and a milkshake. Here is my date before he devoured everything. We had fun watching the movie. It was actually really funny and B and I shared a few giggles. 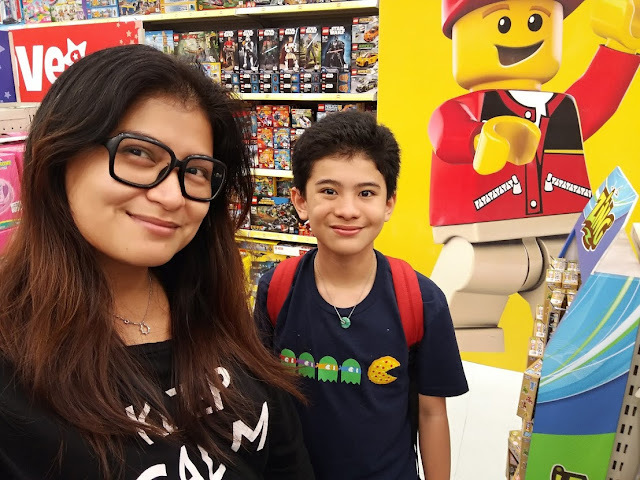 Afterwards, we went around and he looked at some games but we didn't get any because he promised his MommyLou that he will have more games only after the school year ends. I'm glad he's not one of those kids that make a pest of themselves when they don't get their way. Like what I always tell people, I got lucky in this department coz my son is pretty well behaved compared to other kids. 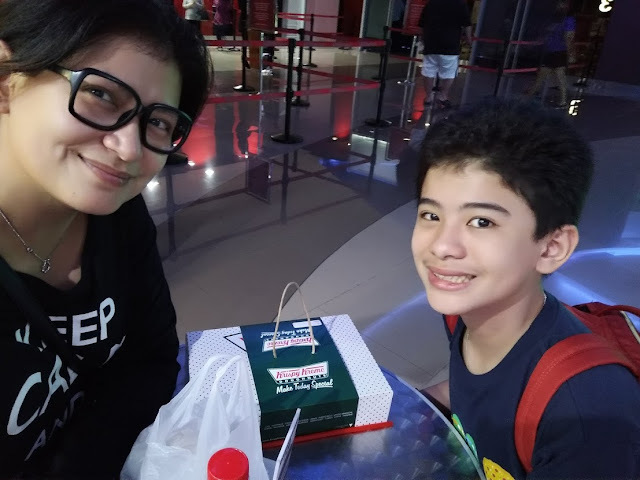 I hope to have more of these bonding moments with my son. 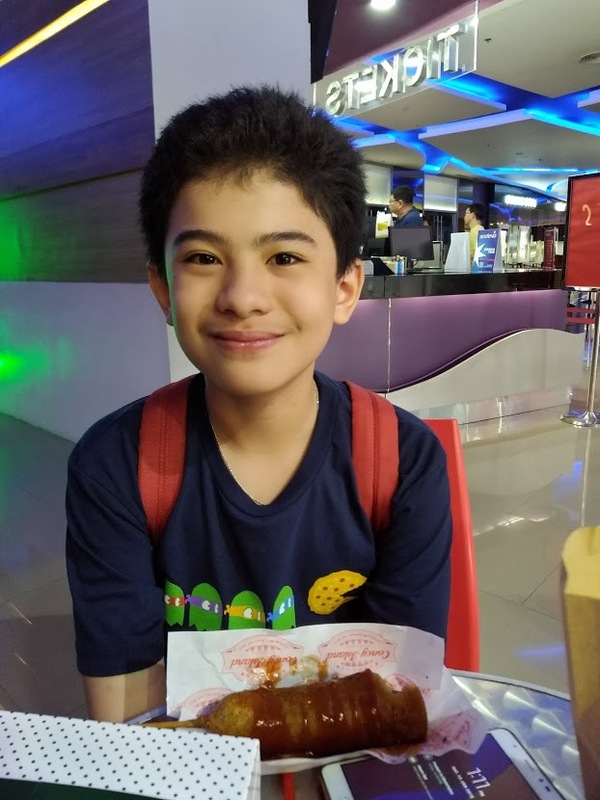 I know that now he's turning 13, I need to form a more stable relationship with him so he will know that whatever it is he may be going through, I will always be there for him.